Supposedly this is a Tenchi Muyo! 's spinoff. 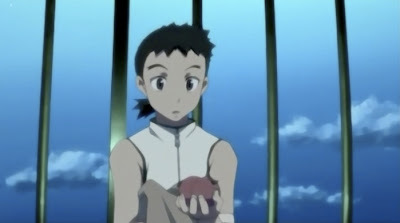 The guy showing in the picture suppose to be Tenchi's half brother. The story, however, takes place in a different universe. It's been so long since I last watched Tenchi Muyo! and I almost don't remember a thing from it any more. But I do recognize the main guy looks very much like Tenchi. The story, is massively confusing because it starts off by jumping right into the action, without any explaination of background or technology or any of the weird stuff they 're doing. Knowing this is a Tenchi spin off, harem is almost a necessity. And that was made clear towards the end of episode 1 of the OVA.